When we started our real estate investing business in 2003, I had $1,000 in the bank, a paid-off 1994 Toyota Camry, and no college debt thanks to a football scholarship from Clemson University (Go Tigers!). My business partner, who was a little older, owned a home and had an internet business that paid his bills (barely). We faced many of the same challenges other new entrepreneurs and investors face: we couldn’t possibly learn everything we needed to know, yet we couldn’t wait forever to get started. So, I initially apprenticed for a year finding deals for a more experienced investor. Down south in the US, we call this being a “bird dog” because I sniffed out deals for someone else. I learned an incredible amount from this on-the-job training and saved some cash. At the same time, my business partner and I gave ourselves a crash course of real estate education from books and seminars. After this first year of learning, we began buying properties on our own to resell at higher prices (aka flips). We used money partners, debt leverage, and a small amount of our own cash to fund the purchases. About the time of our 2nd or 3rd purchase, we attended a real estate class that made a big impression on us. Can We Buy 50 Houses Per Year? The class was taught by an experienced house flipper with an impressive business. At the time she was flipping fifty houses per year for an average profit of $20,000 per house. I did hit my head a few times playing football in college, but even I could do that back-of-the-envelope math. 50 deals x $20,000 = $1 million per year! This will likely sound naive (and it was), but my business partner and I decided that 50 deals per year and 1 million dollars were probably good enough for us (ha, ha). So, we decided that our goal was to build a real estate business as “successful” as the teacher of that class. We figured the wealth building would take care of itself as we grew our business (oops again). Between 2004 and 2007 was our sprint up the real estate mountain. My business partner and I ramped up to buy and sell more properties by creating business systems and investing a lot of money into marketing. We became REALLY good at finding real estate deals. We also became good at finding the money to buy them. As self-employed investors in their 20’s, we were not exactly attractive borrowers for traditional financing. As a result, a large majority of our financing came from private loans and seller financing. By 2007 (right before the cliff of the Great Recession), we had our buying machine in full motion. We had nearly 50 acquisition closings in that year alone! Somewhere in between that crazy amount of activity, I also found time to get married to my wonderful (and patient) wife. But had we reached the goal we set earlier? Were we an impressive business like the teacher at the class? Not exactly. Our 2007 sprint up the mountain did achieve a similar level of yearly volume as the teacher who inspired us. But our results were a little different. On the positive side, some of our 2007 acquisitions were flips that generated even better profits than the teacher had made. We also did more than just flip houses. Some of our acquisitions were keeper rental properties. By the end of the year, we had 43 separate buildings (58 units) either owned or under our control with lease option contracts. And some of these rentals had low-interest financing that would pay off in only 10-15 years. But not all was positive. A large enough handful of the new properties were NOT good deals. Some were in bad locations that made them harder to sell or to attract good tenants. On others, we underestimated repair costs, which meant we had to invest more of our own cash. And some properties had negative rental cash flow because we underestimated operating costs like maintenance and vacancy. Plus, by the second half of 2007, we noticed signs of a slowing real estate market. We did not predict the severity of the recession to come, but we certainly saw the storm clouds brewing. All of this caused us to step back and reflect on our journey up to that point. In some ways, we had reached a milestone. We were successfully buying, selling, and holding profitable real estate. We had more cash in the bank and equity in real estate than ever before. But the economic realities and our mistakes weighed on us. My business partner and I sat down to talk towards the end of 2007. We realized some important lessons. We realized we had used borrowed goals. The lady who flipped 50 houses per year was impressive, but we needed to find our own path. We learned that a massive, fast-growing real estate empire wouldn’t automatically give us the life we imagined. We realized that business and investing weren’t just about making money. They were most of all about life! So, what did we want our lives to look like anyway? I can still vividly remember writing down some of my favorite things to do in life. These included playing pick-up basketball in the middle of the day. Learning something new, like a foreign language. And traveling to new, interesting places with my wife, family, and friends. I can also remember being shocked that these activities that constituted “the good life” didn’t even cost that much money! We realized that life didn’t start once we reached our final goals. 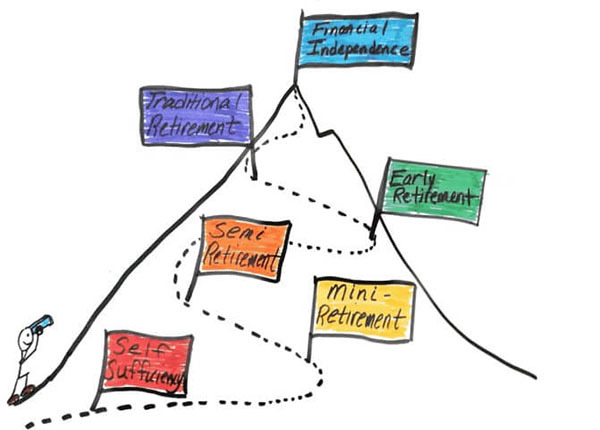 Financial independence for us was both the peak and the plateaus along the way. We didn’t have to put our lives on hold until “someday.” We could enjoy life while continuing to climb the financial mountain. My business partner and I had our work cut out for us as the storm of the 2008-2010 recession hit. Because the market was soft, we had to keep a lot of properties rather than resell them. And as I explained before, we had to handle the mistake properties that we acquired in 2007 and before. But our frugal habits and low cost of living now benefited us. We had not spent most of the cash we made during our sprint up the real estate mountain, so we drew on that to cover many of our mistakes. This allowed us to enjoy life during a time of decreased income. But more than simply surviving, I wanted to enjoy the plateaus during my climb towards financial independence. 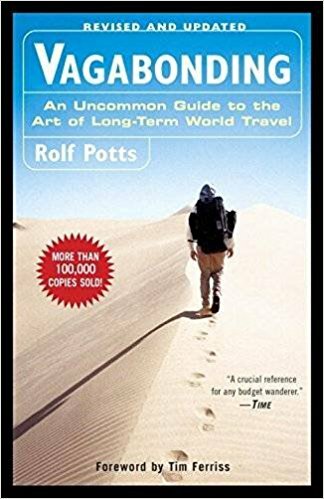 About that time, I read a fantastic book called Vagabonding – An Uncommon Guide to the Art of Long-Term World Travel. The book inspired me to travel while I was young and flexible instead of waiting. So, my wife and I decided to take a mini-retirement as soon as possible. My business partner and I worked to get our real estate portfolio as stable as possible. We also worked hard to create systems and to leverage the skills of other people in order to free up our time and energy. My wife and I then scrounged up every extra penny we could save. 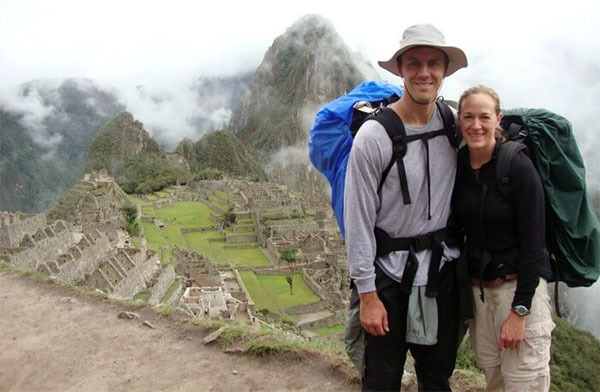 Then in August 2009, my wife and I set off for a 4-month mini-retirement in Spain, Peru, the Patagonia region of Chile and Argentina, and the beautiful city of Buenos Aires. Aside from the amazing experiences, I was shocked that this kind of “retirement” experience was possible before I had fully arrived financially. Yes, we had some passive income and a decent net worth. But we had not reached all of our financial goals. The experience convinced me to continue these kinds of experiences throughout my life. Even after returning we planned and took 1-2 months trips almost every year. And the experience also gave me the energy and perspective to move into our next, smarter growth phase. The next 7-year phase of our business and investing began after I returned from our mini-retirement. We focused on pruning the mistakes of our past and doubling down on the successes. We sold properties when we could (even at a loss if necessary). And we refinanced or paid off loans that were less than ideal. We also began to acquire more new properties. It turns out that in 2010 people were still scared to buy real estate. So, we found plenty of low-hanging deals! And our strategy of using private loans and seller financing was a blessing in disguise. We still had access to funds from private lenders when others had no access to the frigid bank financing market. But we never returned to our frantic pace of before. The pace was always deliberate, careful, and thoughtful. It was a lot like my experience hiking at high altitude in the Andes Mountains of South America. We took two steps forward, paused, and sometimes took a step back. But we always kept steadily moving up. 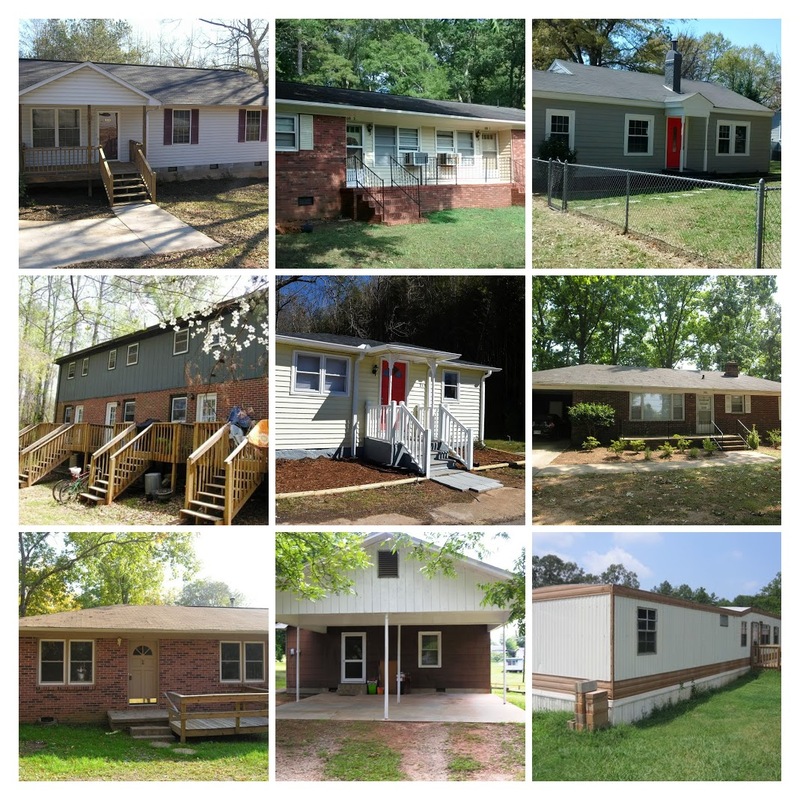 By the end of this next growth phase, we had purchased some of our best performing rental properties and flips. And we had steadily improved our net worth and cash flow. Between the sales and the new purchases, we found ourselves in 2016 at a plateau of 90 rental units, most of which produced consistent cash flow. About that time, we began planning the next phase of our early retirement journey! One of the most important things in our lives also happened during the smarter growth phase. We had two kids! After a few years of nesting, our travel itch returned. So, we began planning another, longer trip. While the first mini-retirement was a challenge, detaching ourselves from our lives with kids made this second mini-retirement MUCH harder. While money is always a factor, getting freedom this time was more about our STUFF. We learned first hand that simplicity is the uncommon path to freedom. After months of yard sales and other simplification efforts, including renting out our residence, we were ready for the next phase of our journey. 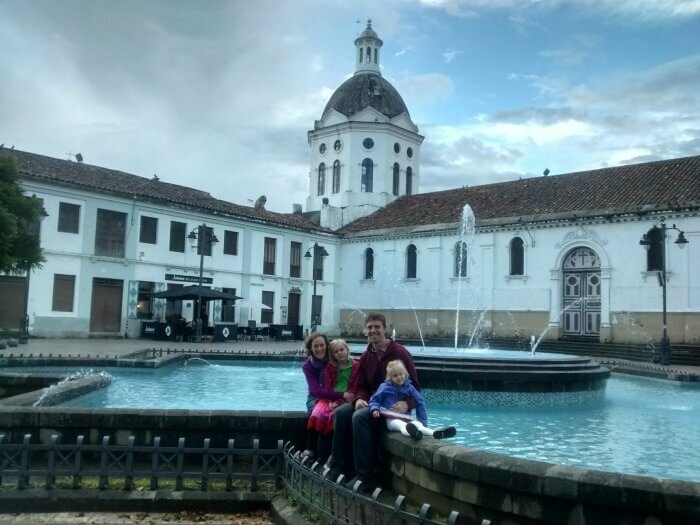 In January of this year, we arrived in Cuenca, Ecuador – our home for the next year. It’s a beautiful, small city set 8,400 feet high in the green Andes Mountains. Several rivers and lush parks criss-cross the ancient city in the shadows of colonial-era cathedrals. We love it! Why Early Retirement & Financial Independence? People at home often asked us why Ecuador? Why a year abroad with your family? Officially we could answer because we love the friendly people, the mild weather, and the opportunity for our kids to become fluent in Spanish at an early age. These reasons are very true. But there’s a deeper why. And it’s less practical but much more important. Because it feeds our souls! Because it’s who we are, deep down inside! What a man [or woman] can be, he or she MUST be. That quote has both inspired and haunted me for a long time. Money is an important part of life. Early on, it puts food on the table and warms your house when it’s cold outside. But its ultimate power is to buy you freedom. But this type of freedom isn’t just about sipping margaritas on the beach. Financial freedom is about becoming who you MUST be. It’s about being happy, in the deepest and truest sense of the word. By sharing the details of my story, I wanted to give you a true picture of my messy, mistake-ridden climb towards early retirement. I’m certainly not perfect, but then again, there is no perfect path to anything worthwhile. At best we make mistakes, learn, and keep moving forward. The unique angle in our story was that we used real estate both for #1 – our income source (house flipping business) and for #3 – our investments (rental properties). For #2, my wife and I lived simply and employed tactics like house hacking to reduce our personal expenses and to save more money. Our particular path, however, wasn’t necessarily better. Yes, it was exciting, but if you’re taking an alternative path like holding a steady job while investing on the side, that’s just as viable (and perhaps more stable and safe). The beginning of any path towards financial freedom starts by deciding it’s important. Then, with a combination of persistence, frugality, and trusted investing tools like real estate or other favorites (like stock index investing), you can reach amazing heights in your finances and your life. I look forward to hearing about your own amazing stories! Chad Carson blogs over at CoachCarson.com – a site about using real estate investing to retire early and do what matters most in your life. He shares practical strategies, step-by-step explanations, and real-world case studies, all with the goal of helping you build your worth and live your dreams. He can also be found on Twitter at @CoachChadCarson.